Jobst Opaque Knee High Compression Socks Closed Toe 15-20 mmHg are womens compression stockings that are designed to be discreet, comfortable and lasting. Wear Womens Compression Socks by Jobst to work, at home and all day. With four color to choose from there is a stocking for most occasions. Opaque Compression Socks for Women hide imperfections in the skin, so potential embarrassment is minimized. 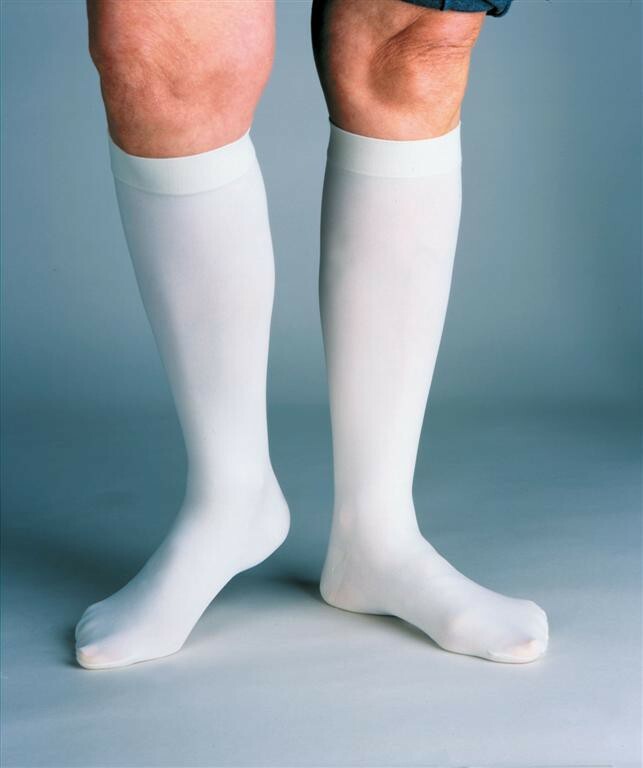 Knee High Compression Stockings for Women apply a 15-20 mmHg compression, which is a mild to moderate compression level that is ideal for treating varicose veins, aching legs, swelling and more. These latex free stockings are made with a blend of nylon and spandex. Jobst product numbers: 115200 , 115201 , 115202 , 115203 , 115204 , 115205 , 115206 , 115207 , 115208 , 115209 , 115210 , 115211 , 115212 , 115213 , 115214 , 115215, 115681, 115682, 115683, 115684, 115685, 115686, 115687, 115688. Best Product Out There BY FAR. After having the band at the top of 3 of 6 Mediven Comfort Knee High Compression stockings come apart in a VERY short time, I was afraid I'd never find a quality product for a large person. These stay up pretty well and are machine washable. Hope Jobst never reduces the quality of this product like Mediven did when they discontinued the Elegance!